In a medium bowl, combine sriracha, soy sauce, vinegar, garlic powder, black pepper and ginger. Whisk until combined. Heat grill or a grill pan to medium-high heat. Cook skewers for about 2-3 minutes per side, or until seared and cooked through, brushing with extra sauce while cooking if desired. Serve warm. 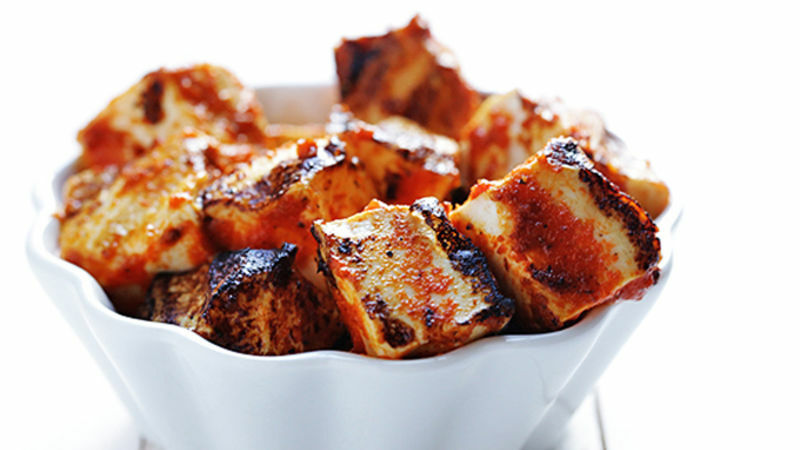 It’s time for your tofu to get SPICY! That’s right. Everyone’s favorite sriracha sauce (which seems to be everywhere right now) combines with some simple seasonings in this recipe to take your tofu from simple to sizzlin’. And when you pop it on the grill (or a grill pan), it will literally sizzle! 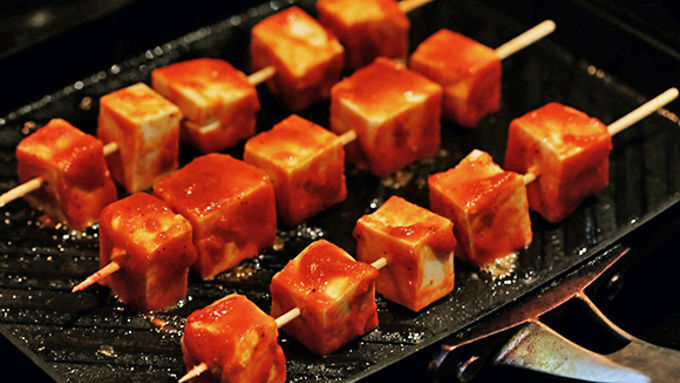 This Spicy Sriracha Grilled Tofu recipe will definitely wake up your taste buds. So fair warning – if you are looking for a little less heat, you might want to cut back on the sriracha just a bit. But for those who love some spice, this recipe is perfect and easy for summer. (And vegan and vegetarian too!) Start with some extra-firm tofu. (Anything less firm will likely fall apart on the grill.) Cut it up into small cubes, or whatever shape you’d like. 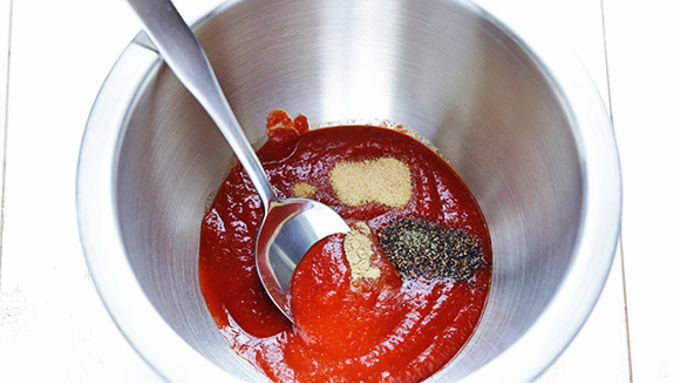 Then mix up your special sauce – sriracha, soy sauce, rice wine vinegar, garlic powder, ginger, and black pepper. Very carefully stir the tofu into the sauce to coat. I only stirred a few pieces at a time to prevent them from breaking. Let them marinate for at least an hour, up to 24 hours. 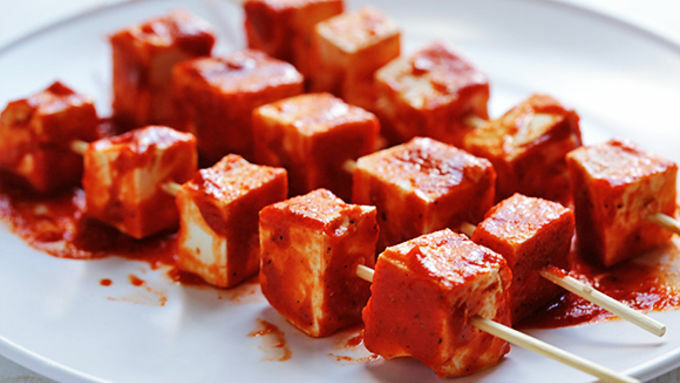 Thread the cubes onto skewers for easy grilling. Then pop them on a sizzling hot (and oiled) grill or grill pan for about 2 minutes per side, or until seared on each side and cooked through. You can brush on extra sauce during cooking if you’d like. Then serve them on the skewers or in a bowl. Spicy and SO good!